TAMPA, Florida, January 19, 2012 -- Eighteen months after adopting Hubspot’s all-in-one marketing platform, Tampa, Florida-based Acoustiblok has increased website traffic by 210 percent, increased organic search leads by 307 percent, and increased customer transactions by 40 percent, contributing to Acoustiblok’s record sales increases in 2011. 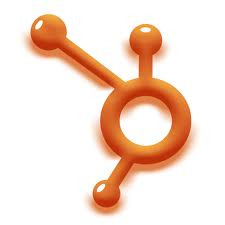 Hubspot named Acoustiblok a “Best Practice” customer based on its application of Hubspot marketing tools for website management, blogging, search engine optimization (SEO), lead management, marketing analytics, social media monitoring, and website analysis. “Being recognized by an industry leader as a “best practice” customer is a real accomplishment, and one we’ve worked hard to achieve,” said Liz Ernst, director of public relations for Acoustiblok, Inc. “We have a small marketing and PR team, and we had been trying different approaches to increasing traffic and drawing attention to our Acoustiblok soundproofing product line, and our Thermablok aerogel insulating strips. Just one, 1/8 inch layer of Acoustiblok in a standard wall will result in more sound reduction than 12-inches of poured concrete. Environmentally friendly, Acoustiblok contains no lead, barium, or asbestos, is UV resistant and impervious to water and mold; it is UL rated and classified for all wall, floor, and ceiling installations. For more information visit the Acoustiblok website at www.acoustiblok.com, Email sales@acoustiblok.com, or call 813.980-1400.